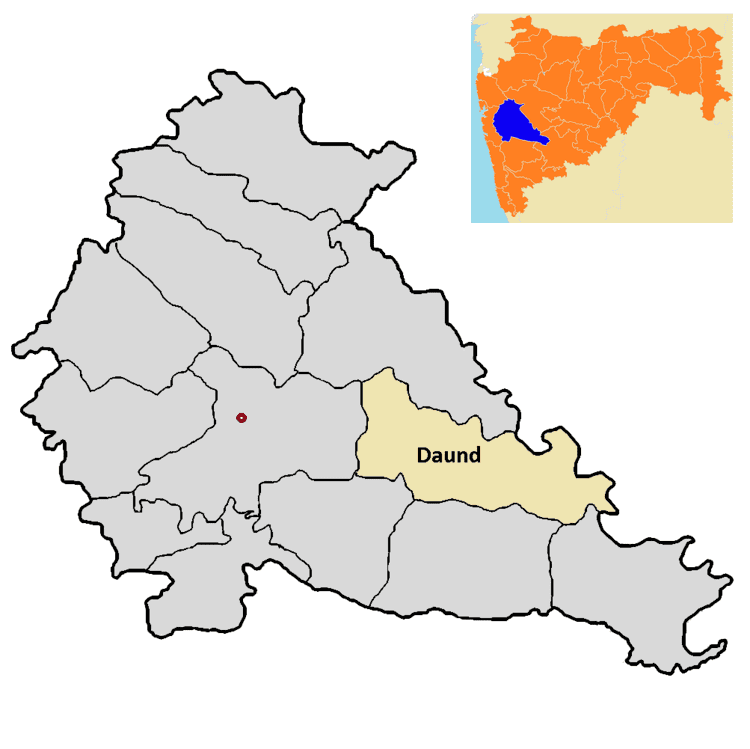 Daund is a city, municipal council and headquarters of Daund taluka in Pune district in the state of Maharashtra, India. In ancient times a sage, 'Dhaumya Rishi' used to stay here, hence people started calling this place after him: 'Dhaum'. Gradually 'Dhaum' became 'Dhoand', then 'Dhaundh', and before it getting corrupted to the present name 'Daund'. According to the Epic Mahabharata Krishna's wife Rukhmini had gone in the 'Dhindir forest', this ancient 'Dhindir Van' is today's Daund. Daund was extensively developed during the British rule. When railways were started during the British rule in 1870, the Bombay-Solapur railway passed via Daund, and the Daund-Baramati metre gauge track was constructed. Daund became a junction after the Daund-Manmad connection was established. Daund got connected to Srigonda when in 1928 the bridge over river Bhima was constructed. In the British period Daund was an important center for coal engines. There were more than 125 coal engines in Daund of this coal ash was found in abundance. Hence the brick making business started and it went to various big cities. Daund is located at 18.47°N 74.6°E﻿ / 18.47; 74.6, about 514 m (1,686 ft) above sea level on the western margin of the Deccan plateau. It is situated about 80 km (50 mi) east of the Sahyadri mountain range, which forms a barrier from the Arabian sea. The town is mostly flat terrain, with hills rising 600 m (2,000 ft) to the south of the town near Kurkumbh. Daund is located on the southern bank of Bhima river, a major river in Maharashtra. The river creates the Ujjani reservoir around 25 km (16 mi) southeast of the town . Daund is served by shuttle bus from Pune and rail at the Daund Junction. 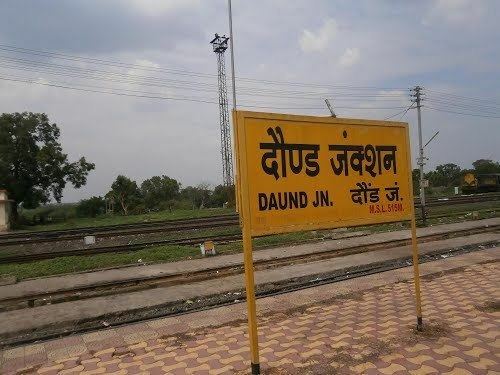 Daund is a very important railway junction, serving as a halt for south bound trains from Mumbai, Gujarat, Madhya Pradesh and Rajasthan as the origin/destination for trains to north India. Trains going north wards to New Delhi, Jammu from Pune and Goa have to pass through Daund. Daund is also an access point to one of the Ashtavinayak Ganpati, Siddhatek. Daund is the important station for devotees who visit Meherabad, and Shiridi from south India via Ahmednagar and Kopargaon.